Moving day is quickly approaching, and if you are going to survive what has been proven to be one of the most stressful events in your life, then you are going to need to make sure that you have a rock solid plan in place. Choosing to make the move at the last minute without any sort of planning will always create nothing but problems. AAAMovingQuote.com is here to make things a whole lot easier for everyone that is involved in the moving process by helping you with the very first step of moving. We will help you by providing free moving quotes, and a wide range of moving tips and tricks. Don't worry. We have you covered, and we are here to help you make the most of your move. Our main objective is to simplify the moving process, which can be very stressful. Moving Companies has respectful and certified movers, available to perform any moving services at any time. In order to find out which moving company will be able to provide you with the best services at the best price, you are going to need to start comparing moving quotes. In the past, this was a rather difficult task. You would have to spend too much time locating, calling and receiving price quotes. Today with the help of our website, this process is much easier. Instead of spending hours trying to do all of these things, you can just spend a few minutes filling out one simple online form. In most cases, it takes less than three minutes to complete, and then the good news starts coming in. 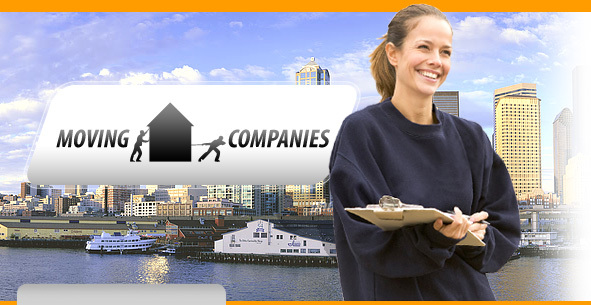 You will have local area moving companies competing for your business. When moving companies compete for your business, they always provide better pricing and better services, and you get to reap all of these great benefits. This powerful solution provides you with the time that you need to get started planning your move. Don't spend days or hours trying to locate a moving company that is affordable and convenient. Fill out our simple form, and get the results that you need in a matter of minutes. It really is that easy. Once you start receiving moving quotes, you can start doing some comparing. Take a close look at the quotes and the services to find the best solution for your unique situation. Every moving company is different, and the results will vary based on your location. This is why it is important to compare all of the quotes that you receive to find the best price and service combination. Once you decide on a moving company, it is time to start getting prepared for the move. If you want your move to be hassle free, then preparation is the key. You can start by looking through some of our online articles. They have been designed to provide you with the answers to the most common moving problems and questions that you will face. Knowing the answers to these questions before you move will help prevent any sort of problems down the road.